Nope, they were at a party I attended. Reblogged this on Armando's Pix. Oh, how cute! I think, I try this over Christmas, too. Those look so cute! I could eat them ALL! buna dimineata si multumesc de invitatie la o prajitura ! Reblogged this on Jaye's Brain. Reblogged this on Inkor Pank. The incredible and delicious Strawberry Santas! Reblogged this on Photography & Optics. Looks like you’ve gone Pinterest on us Matt!! Cute! Wow! 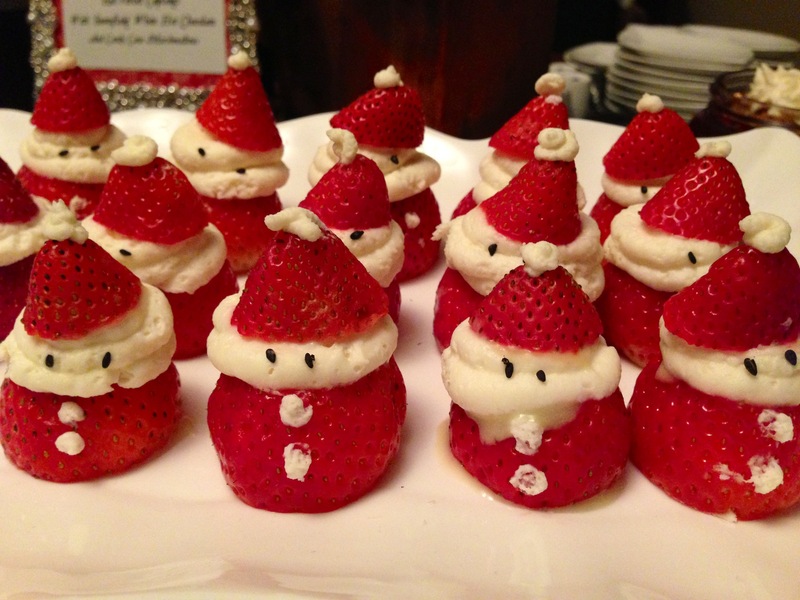 These are awesome Strawberry Santas. I’ll make some of these cute Santas this Christmas. It surely looks sweet and delicious. Thanks, Matt. You’ve just shared an inspiring post. So did you actually try them? If so between 1 and 10, 10 being fantastic, which were they? I have to say on the cute and fun scale they look like a 10. They are too cute! What a great idea. So cute I love them!! Very Cute & Great Idea! DIY! awww so cute…..Matt please share the recipe. I am hunting down some Christmas recipes and this is truly unique and healthy. Reblogged this on djvicdad's Blog. They’re very cute and creative!!!!! Прикольно. Жаль, что у нас в эту пору нет клубники. (( Но летом я обязательно сделаю что-то похожее. Reblogged this on The Dark Secret. Strawberries are such a decadent berry, so long as you enjoy it slowly, sinking your teeth into it and really taste the juice. Great idea! They look nice, are tasteful too and make funnier a party! Reblogged this on Avanza Servicios Asistenciales. Very creative! They look so good; I would love to try making them next year. If you can, please send me the receipe! This is dope and is a must have at the next Christmas party for sure!!! Bet it tastes as good as it looks! yummmyyyyyyyyyyyyy! love it! I have to remember these for next December!